Was down for 7 days and had about 3-4 days of good fishing weather, the rest was jusy windy as hell. Tide times were a bit odd but had a few really good calm AM tides and then a couple rougher incoming tides in the afternoon. 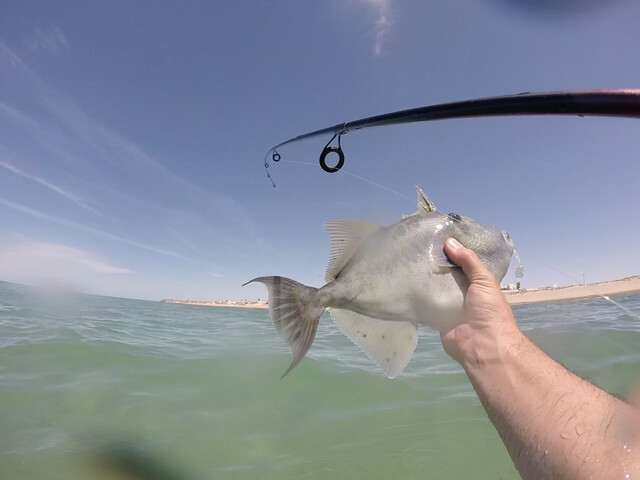 Was fishing with lighter tackle this time with a 5 foot rod and 6lb test. Caught tons of fish. 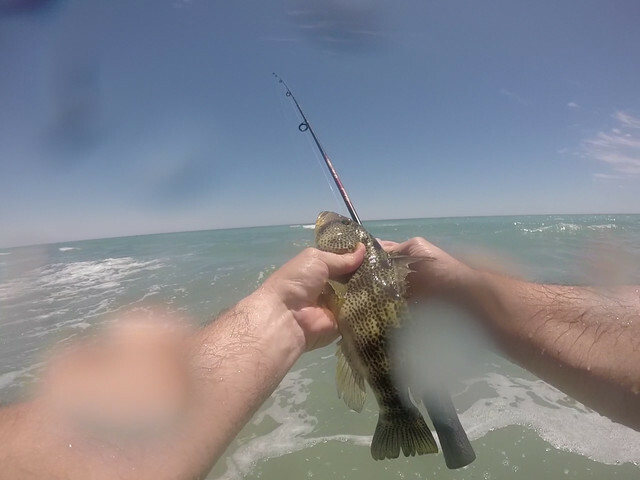 The rock bass seemed to be larger this year along with the triggers and put up great fights on my setup. 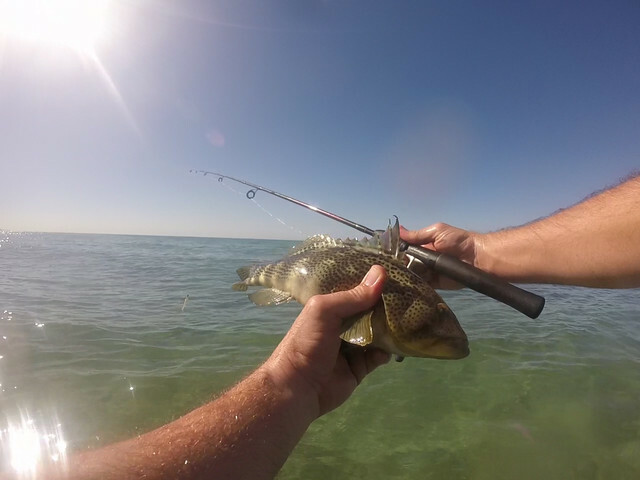 I had 2 corvinas hook up and a baby leopard grouper as well. Leatherjacks were very aggressive as usual. Not a whole lot of luck fishing form the shore but when the tides were out or coming in had great success wading out and casting into rocks etc. 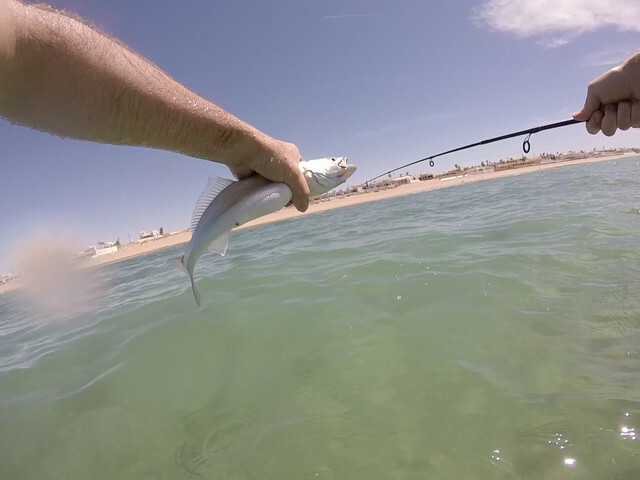 I didn't bait fish at all but there was a few guys out there pulling up triggers left and right with squid. A lot of small coin sized blue jellys rolled in on my last full day but fished around them as they didn't sting i was told (update it looks like they are blue button jellyfish aka porpita porpita and are actually polyps). Sand dollars were everywhere and tide pools were very active. Great time of year to get down there!!! 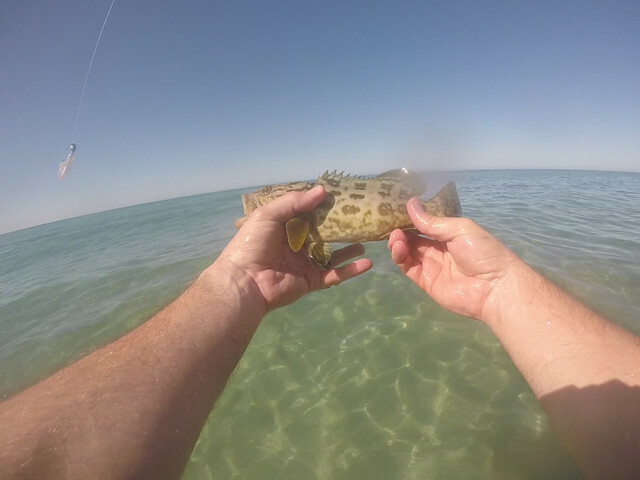 Baby grouper is the bomb! 2nd week in June makes them right on the mark. How big is real big? was out for 5 hours on Wednesday last week in Lobos. We caught 9 yellowtail and 1 snapper. lost a couple more to the bull and several more came unbuttoned. trolling was impossible due to all the seaweed. Is the seaweed pretty much everywhere, or mainly along the shoreline by the cliffs where it always is this time of year? Thanks, SunDevil. Going down in a few days myself. Will need to make some adjustments.